IT’S COMMON KNOWLEDGE that the Chinese play the long game. It’s also becoming common knowledge that President Donald Trump plays to win — or doesn’t get in the game. Just ask Canadian Prime Minister Justin Trudeau. Experts on China believe their long-ball strategy gives the communist regime a perennial upper hand when competing with western governments, whose financial houses and political backers are petrified of any short-term market fluctuations. Trump took a seat at the China trade table, surveyed the game, sized up his adversary and determined that he had $375 billion more chips than his Chinese counterparts. 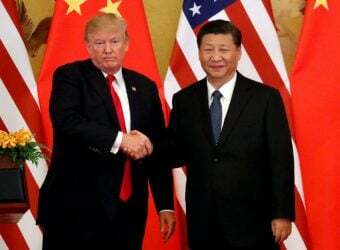 China has been bluffing the United States on bad trade deals and product dumping since President Richard Nixon paid the country a visit in 1972. Upon entering the World Trade Organization, the Chinese made stealing U.S. intellectual property a business rite of passage. The WTO is nothing but another globalist fantasy concoction designed to permanently commoditize U.S. workers while telling them it’s the road to world peace. When Trump first threatened China’s President Xi Jinping with tariffs to level the playing field, Xi probably assumed it was an empty threat. He didn’t understand who he was dealing with. After months of Trump telling Beijing, he was serious, Treasury Secretary and Goldman Sachs graduate Steve Mnuchin, in cahoots with his lower Manhattan and fellow Sachs alum economic adviser Gary Cohn, told Trump not to worry. The West Wing saboteurs told Trump they got a trade concession: The Chinese would buy more soybeans at some future date. But then a strange thing happened: Trump disputed Mnuchin’s Chamberlain-style peace-in-our-time victory and doubled down. He called China’s bluff, and the whole world was caught by surprise. The Bejing stock market tumbled 32 percent. Chinese investors knew their gig was up. When that fell flat, the bankers and hedge-fund managers, whose average Wall Street salary last year was $422,500, bemoaned the coming economic Armageddon of all time. Instead, the U.S economy is booming while setting new highs every month in virtually every category: 4.2 percent GDP growth, record numbers in job creation and higher wages. All these results have led to soaring consumer and business confidence. Trump has maintained that he’s tired of the United States being taken advantage of. “The U.S. is no longer the piggy bank of the world,” Trump triumphantly declared in September. The U.S. trade deficit with China in 2017 was $375 billion. That’s $375 billion more U.S. cash going to China than flows into the United States. China’s economy is now dependent on U.S. hard currency, and the Chinese covet the buying power of the American consumer. China desperately needs the United States to buy its exports. The U.S. economy can function just fine without Chinese trade, as it did for 200 years. For Americans, Trump’s China tariffs mean more manufacturing, more factories and better-paying jobs available for more U.S workers. Trump has maintained that the United States is being ripped off by everybody — and that bad trade deals have proved disastrous for American workers, resulting in lost jobs and lower wages. Even worse, the Chinese central government, through domestic subsidies, dumps futuristic products into the U.S. market at below-market prices in order to drive American companies out of business, with a long-term goal of cornering high-growth markets. This is a trade dispute Trump can’t lose, and he knows it. He’s willing to impose another $276 billion in tariffs on China, approaching 50 percent of China’s total exports to the United States. China, on the other hand, has already run out of products they can put tariffs on. President Xi thought Trump’s rhetoric was toothless. But Trump won’t blink on trade with China. That means better salaries for American workers, not Wall Street elites. Published for The Virginia Pilot and The Bull Elephant. “The President surrounded himself with people who didn’t support his campaign, the globalists, the elitists, the Harvard educated Rhodes scholars, CEOs of Wall Street who never wanted to see Donald J. Trump successful and unfortunately there are parts of the Woodward book which I believe to be true,” Lewandowski said. The Bob Woodward book, “Fear,” due out today, September 11 is told mainly by disgruntled former White House employees Gary Cohn and Rob Porter and other President Trump detractors, designed to derail Trump’s America First agenda. Along with the anonymous Op-Ed piece in last week’s New York Times, it’s a coordinated effort to influence the upcoming mid-term elections. Meanwhile, Woodward, staring at a nice book sales payday from the Trump-haters and never-Trumpers who will surely buy the latest “See, Trump is bad!” book, told the Washington Post he stands by his reporting. Lewandowski says he’ll name names of current White House personnel who are actively and willingly undermining the President’s agenda and credibility. 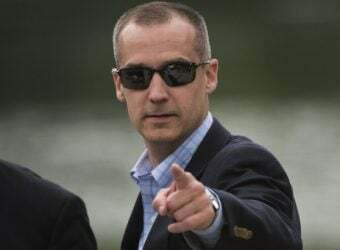 “The President surrounded himself with people who didn’t support his campaign, the globalists, the elitists, the Harvard educated Rhodes scholars, CEOs of Wall Street who never wanted to see Donald Trump successful and unfortunately there are parts of the Woodward book which I believe to be true,” Lewandowski said. “Where it says Rob Porter and Gary Cohn took papers off the President’s desk because they didn’t want him to sign it, where they thought that what the President was doing was not in the best interest of the country, because it didn’t conform to the Globalist agenda of making sure we’re not putting America first, which is what those guys believed in,” the former Trump campaign manager maintained. Lewandowski then blasted the book’s main thesis. 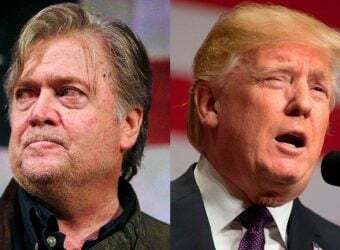 Look for a major White House staff shakeup after the mid-terms, which may very well include Lewandowski and former deputy campaign chairman David Bossie taking key roles. The Trump campaign’s Virginia chairman, John Fredericks, asked a question during the White House press briefing on Wednesday. Fredericks, who hosts a syndicated conservative radio show called the John Fredericks Show, asked the last question of the briefing. 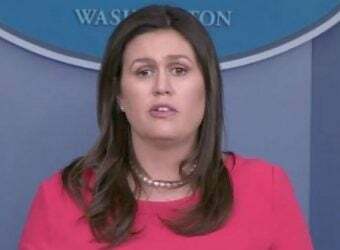 “I want to change the topic a minute if I may and go South,” Fredericks said, eliciting a smile from press secretary Sarah Huckabee Sanders. Though the bulk of the press conference was about the White House’s stance on Russian interference in the 2016 election, Fredericks posed a question about Mexico. “What is the president’s position on that and are they going to do anything to stop that from happening in Mexico?” he asked. Fredericks was likely referring to reports that Obrador was considering the legalization of drugs nationwide in an effort to quell the violent drug cartel warfare. “However, I can say we would not support the legalization of all drugs anywhere and wouldn’t allow more drugs to come into this country,” she said. “Wouldn’t you know it, it was from Republican pundit [Fredericks]?” the user Tweeted. “What’s not to like?” Fredericks replied. 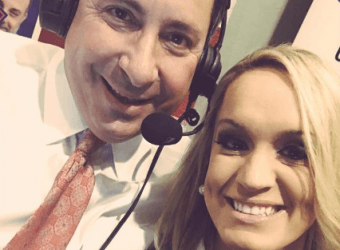 The John Fredericks Show, which he advertises with the hashtag #TruckingTheTruth and #GodzillaOfTruth, appears to frequently promote pro-Trump ideas and messages. The show’s website promotes pictures of Fredericks with White House counselor Kellyanne Conway and Trump himself. Under President Trump, conservative media outlets have gained more official seats in the White House briefing room. They work in the West Wing. Many of the employees that make up the White House staff were entrusted by Donald J. Trump with the unique opportunity to work in the West Wing and serve the President, his agenda, the Administration and the American people. How did they show their loyalty and gratitude? By trashing the President at every turn, leaking disparaging comments to the press, and mocking him in both private and public settings. Their goal: to sabotage Trump’s agenda so it would never see the light of day. Now the White House rat crew is trying to use cheesy tabloid writer Michael Wolff as their assassin. Wolff is the author of “Fire and Fury,” the trash currently masquerading as a serious book. It’s becoming more and more clear that few people came to the White House to serve the President and American people’s agenda. Fredericks on HLN: Are Trumps Idle Thumbs A Threat? Read the full magazine article from GQ. John Fredericks, a pro-Trump radio host who advocated for bringing the president to Virginia, said Trump’s absence left his supporters unenthused. A presidential rally, he said, wouldn’t have fired up the Trump opponents any more than they already were. 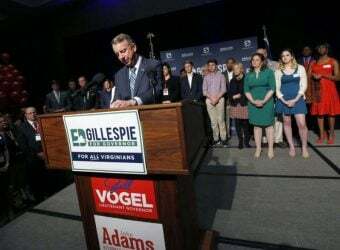 Read full article “Virginia Republicans try to sort out a bloodbath after first big electoral test of the Trump era” from the Richmond-Times Dispatch.